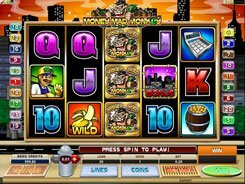 The Cash Crazy slot from Microgaming offers a thrilling classic-twist adventure in quest of big wins. 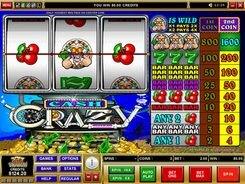 The Vegas-style 3-line 1-reel slot features a crazy professor, sevens, cherries and bars. Before spinning the reels, you should make a bet. 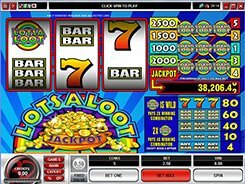 Like other three-reel emulators, this slot can’t boast a wide range of settings. 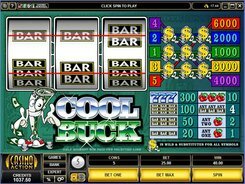 You can wager one or two coins per line, per spin, and set a coin size from $0.25 to $5. 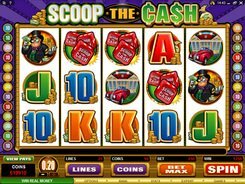 The crazy professor is a wild symbol, with these three on the payline yielding a 1600-coin jackpot that translates into a hefty $8000 award. But be sure to have wagered two coins per spin, otherwise you get twice as less! 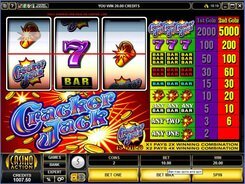 Even a single wild dropped on the payline is profitable as it can transform into a symbol needed to complete a winning combination. One wild symbol will double the value of any winning combination created. 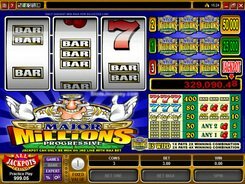 If two wilds occur on the payline, the payout will be quadrupled.